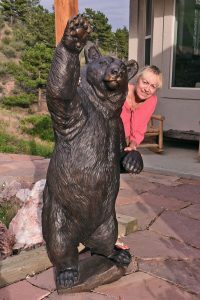 This is the monumental version of my smaller bronze with the same name. 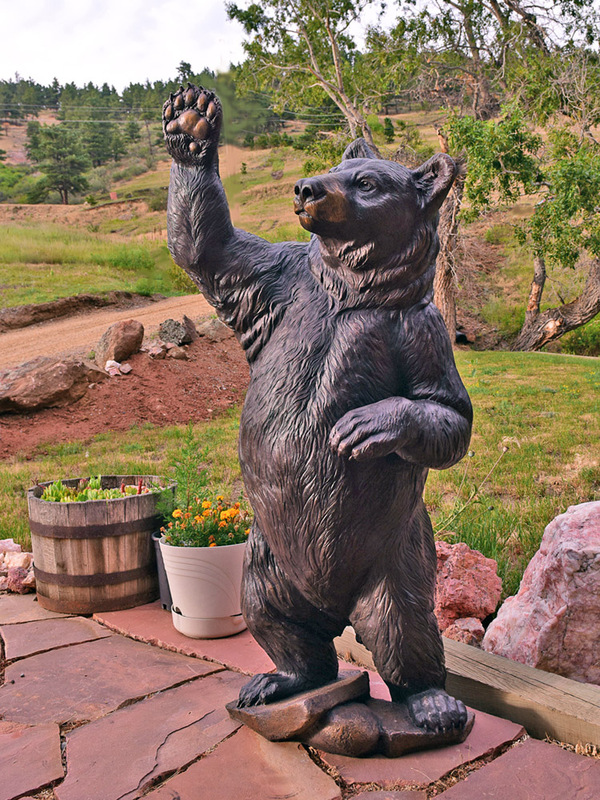 Being slightly larger than life, and therefore perfect for outdoor placement, this black bear is ready to entertain or greet you. 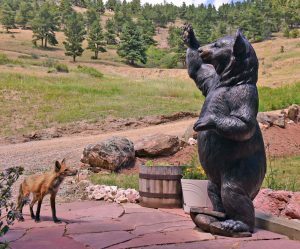 We have fun watching our local wildlife stop and stare at it.